Lung cancer has been the most common cancer type for several decades with a low survival rate worldwide. In Norway, the median survival time was 8.2 and 12.3 months for men and women respectively in 2013. Smoking is the most important risk factor for lung cancer, which accounts for 80-90 % of all lung cancer cases. Due to the declining trend in smoking, other lifestyle factors may become important for the incidence of lung cancer. Sedentary lifestyle describes a series of human behaviors requiring low energy expenditure in a sitting or reclining posture when awake. Due to the development of technology, people perform more sedentary work, drives more cars and spend more times watching TV or playing video games. According to the World Health Organization (WHO), 60 to 85 % of the population worldwide live a sedentary life. Prolonged sitting as a major sedentary behavior potentially contributes to illness, but its relation with lung cancer has been unclear. Moreover, people who are prolonged sitting can be either physically active or inactive during their leisure time. 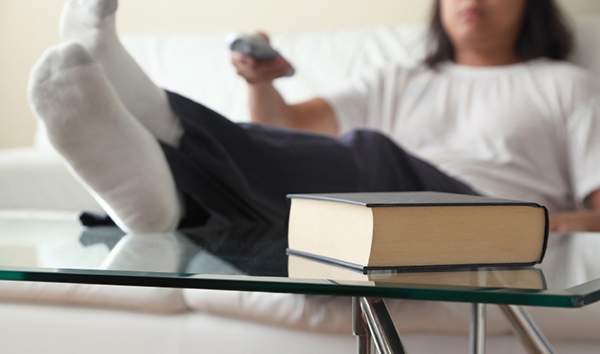 Does sedentary lifestyle increase risk of lung cancer? The answer is that the risk may be increased if you are both prolonged seated and physically inactive during your leisure time. In our study we followed 45,810 cancer-free adults who participated in the second survey of HUNT Study (HUNT2) in Norway (1995-97) to the end of 2014 to see if total sitting time daily or its combination with leisure physical activity level had any connection to developing lung cancer during the two decades. Total sitting time daily and physical activity were self-reported at the beginning of the study. We went to the Cancer Registry of Norway to find the participants who got lung cancer in this period. In total, 549 participants developed lung cancer for an approximate 18 years follow-up. In our findings, we saw that total sitting time daily by itself was not associated with the incidence of lung cancer. However, participants who were both extendedly seated and physically inactive had a 44 % higher risk of lung cancer. Our study is the first prospective cohort study to investigate lung cancer risk among people who were both extendedly seated and physically inactive during the leisure time. The findings suggest that both increasing physical activity and decreasing sitting time are important for lung cancer prevention. This study was financed by the Extrastiftelsen through the Norwegian Cancer Society and top-up funding from the collaboration partner between the Liaison Committee for Education, Research and Innovation in Central Norway and Central Norway Regional Health Authority. None of the funding sources was involved in any aspect of the study design, conduct, analysis, interpretation of data, or writing the report. The Norwegian Directorate of Health. Nasjonalt handlingsprogram med retningslinjer for diagnostikk, behandling or oppfølgning av lungekreft, mesoteliom og thymom [National guidelines for diagnosis, treatment and monitoring of lung cancer, mesothelioma and thymoma]. Oslo: The Norwegian Directorate of Health, 2015. Thorp AA, Owen N, Neuhaus M, Dunstan DW. Sedentary behaviors and subsequent health outcomes in adults: a systematic review of longitudinal studies, 1996–2011. American journal of preventive medicine. 2011;41(2):207-15. Shen D, Mao W, Liu T, Lin Q, Lu X, Wang Q, et al. Sedentary Behavior and Incident Cancer: A Meta-Analysis of Prospective Studies. PloS one. 2014;9(8):e105709.